Wyndham Hotel Group, part of Wyndham Worldwide Corporation, the world’s largest hotel and holiday chain has signed up Safelincs as the only approved fire safety supplier for its UK operations. In the UK, Wyndham includes 740 hotels, 15000 cottages, 900 boats as well as 450 holiday parks. 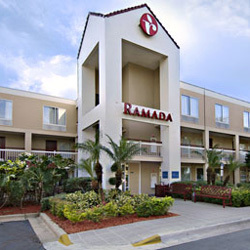 Hotels such as Ramada, Days Inn and Encore are some of the hotels that are included in their portfolio. As part of the deal Safelincs have offered favourable terms for the hotels including special prices for fire extinguisher servicing and fire alarm panel maintenance. Harry Dewick-Eisele, MD of Safelincs Ltd stated: “We are proud to be selected by Wyndham as their central fire safety provider. We will make sure that hotels in this group, many of which are already customers of ours, will receive benefits from this co-operation”. If you are a hotel owner or Facilities Manager of a hotel, contact Safelincs on 01507 462176 or email support@safelincs.co.uk to discuss your needs. Safelincs recently launched a new business arm, Henry Wolfe, offering beautiful and bespoken fire safety solutions for boutique hotels and other design focused venues. 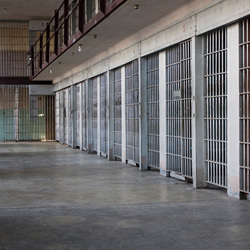 Several HM Prisons recently started the process of introducing the P50 service free extinguisher manufactured largely from composite plastics and aramid fibres (such as Kevlar). These kitemarked extinguishers are 100% corrosion proof and do not require annual servicing nor refilling after five years. In their first ten years of life they are simply visually inspected by the customer’s own personnel. This reduces external visits from contractors and makes the annual vetting of contractors, their equipment and any new fire extinguishers by security personnel unnecessary. P50s delivered to a prison can easily be x-rayed, as there is no metal cylinder preventing the scan. Equally, when after ten years the extinguishers are being refurbished, the replacements can be brought on site without necessarily opening the extinguishers. While the extinguishers can be refilled easily, a special clamp is required to open the extinguisher, without this the inner and outer body spin against each other without opening the cylinder head. Unauthorised attempts to open the extinguisher for storage of drugs and other illegal items are hence made more difficult. The dual pressure indicators of the P50 are magnetic so security staff can easily verify if a gauge has been tampered with. The body of the extinguisher, due to it being manufactured from spun fibre has a degree of elasticity which reduces risk of injury if a person is attacked with an extinguisher. Safelincs this week shipped the first batch of CO and smoke alarms to airbnb customers across Europe, as airbnb started its campaign to provide hotels, B+Bs, villas and other types of holiday lets with alarms to improve the safety of holiday makers. Airbnb, a rapidly growing international holiday provider with holiday stays in over 34000 cities in over 190 countries is driving the safety message for all its holiday partners and Safelincs is proud to be part of this drive. Safelincs had to overcome a number of country specific approval hurdles to ensure that customers in the various European countries receive suitable smoke and CO alarms. Airbnb is planning to send out 50,000 alarms in Europe in the first year. Safelincs and its European franchises are well placed to deal with complex and high volume orders across Europe.